Sweet corn on the cob! There is nothing better near the end of summer then fresh picked corn on the cob! I love that locally, we have plenty of farmers that offer up their extras. One in particular picks what he wants from his huge field, then offers the rest to anyone that wants to pick it. I try to freeze some of it and if I get extras, I do can the kernals to use in the winter. Nothing better than fresh canned sweet corn to use in other recipes. I also like the ease of storing it. I still have 4 quarts from last year stored in my basement we will use this winter for holiday meals. Unfortunately, my daughter did ask to help remove the corn husks. As you can see, she did not get all the silk. But that is okay, I removed it prior to eating it. She likes doing it, and I like having her to help me in the kitchen. She needs to learn how to cook by seeing and doing. Sweet corn on the cob cooked in the slow cooker. Easy to make and a great addition to any meal. 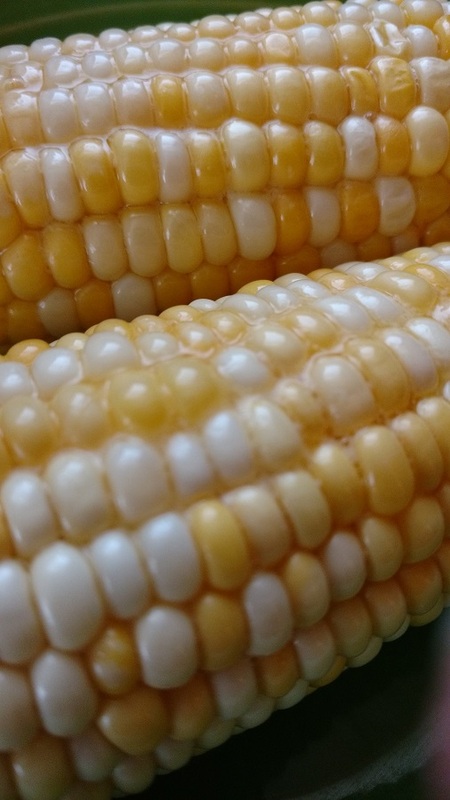 Brush the ears of corn with olive oil. 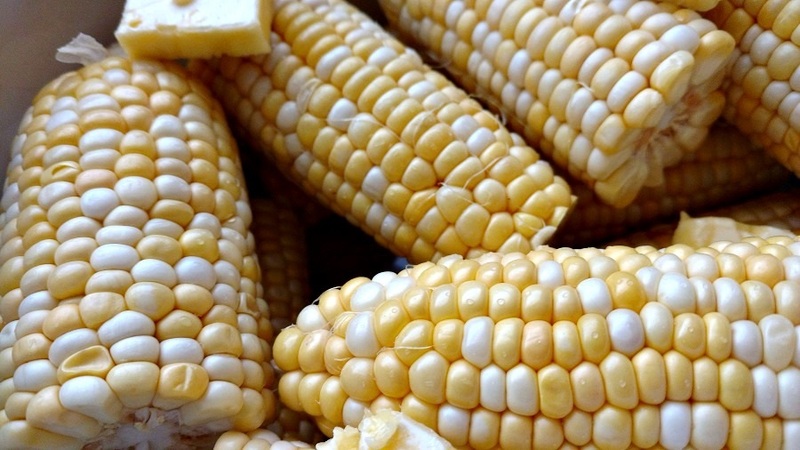 Add the corn to a 4 qt or 5 qt slow cooker. 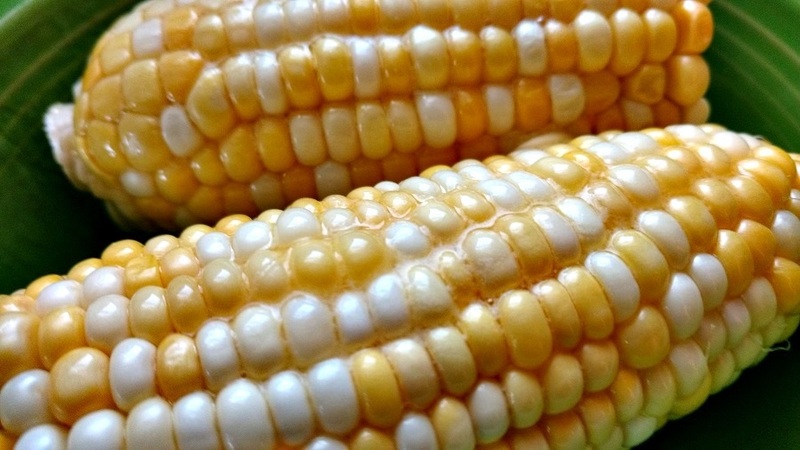 Pour the water in the bottom and add the butter in tabs to the top of the corn. Serve straight from the slow cooker.